Sophie Wittenbauer left her strict Mennonite hometown under a cloud of shame and regret. After a rough childhood, her teenage poor choices harmed others, leaving her with no choice but to change her life. Her entry-level writing job at a newspaper puts her in the right place at the right time to overhear office gossip about a prisoner who has information on a decades-old unsolved crime. While the other reporters write off the tip as the ravings of an angry criminal, Sophie can’t ignore it because she knows the name of this prisoner from her old life. Upon learning from the man that one of the other suspects is hiding out in the Missouri town of Sanctuary, she takes on a false identity to investigate and meets the young pastor of a local church–the very man she’d loved as a troubled teenager. As she gets closer to finding the suspect, will the truth of her own past come out before she discovers the identity of the criminal–or the very person she’s seeking puts a fatal stop to her investigation? Rising Darkness is the third and final book in the Finding Sanctuary series. While this novel stands alone, it does revisit characters from previous books. In fact, readers who have read Unbreakable, book two in the Road to Kingdom series, will especially enjoy reading Sophie Wittenbauer’s story. When the pursuit of information concerning an unsolved crime leads Sophie to Sanctuary, Missouri, it also brings her face to face with someone from her past. Can Sophie keep her own identity concealed while trying to uncover the identity of a criminal? Sophie and Jonathon are well-crafted characters, and their story is filled with twists and turns that kept me guessing until the very end. 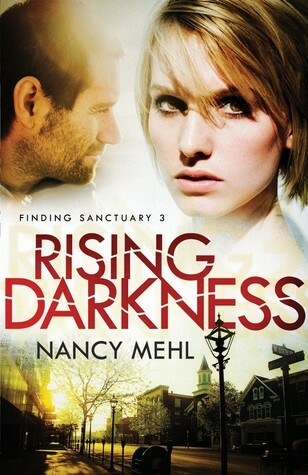 Rising Darkness combines suspense and romance and is an enjoyable conclusion to the Finding Sanctuary series. Nancy Mehl lives in Festus, Missouri, with her husband Norman, and her very active puggle, Watson. 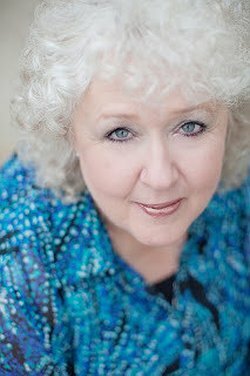 She’s authored fifteen books and is currently at work on a new romantic suspense series for Bethany House Publishing. You can find out more about Nancy and her books by visiting her website.